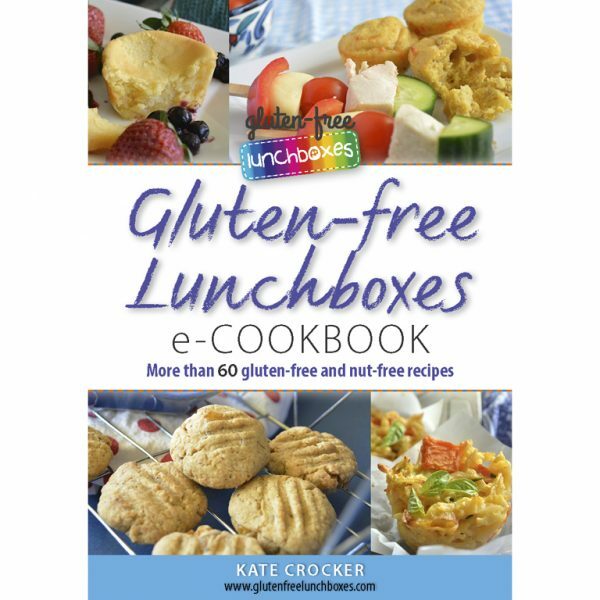 The Gluten-free Lunchboxes e-Cookbook is an e-book full of gluten-free lunchbox recipes – both sweet and savoury – with some special occasion recipes thrown in. 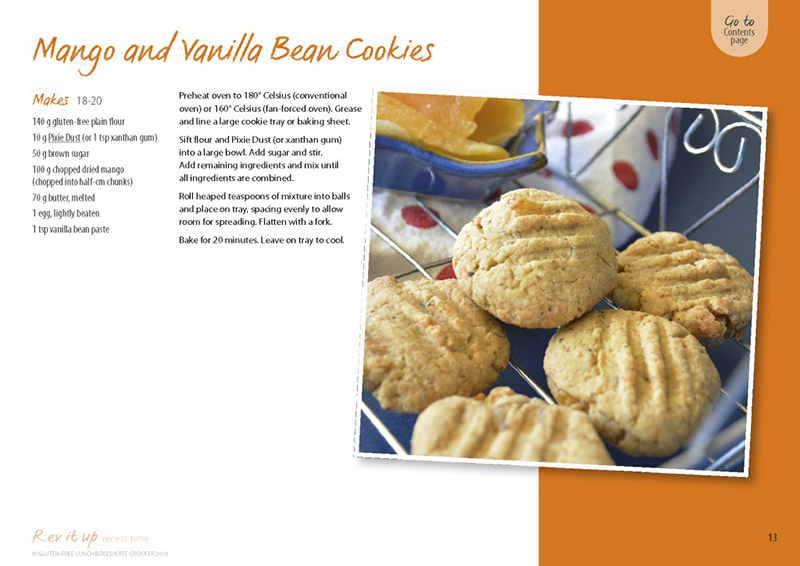 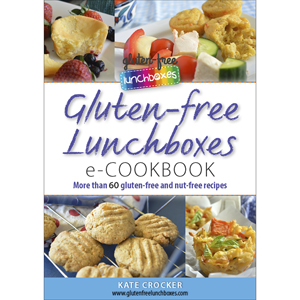 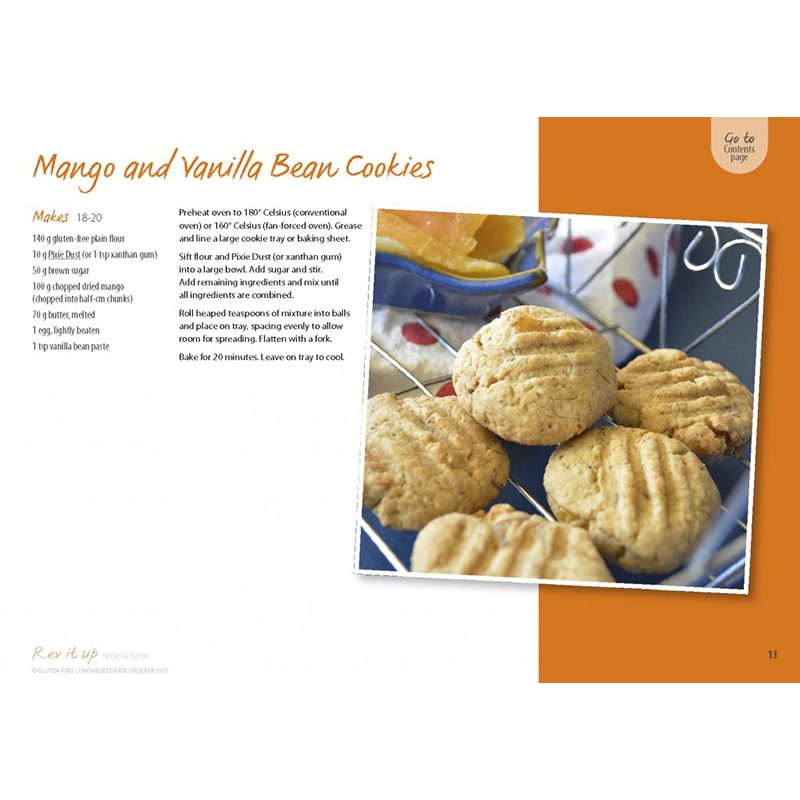 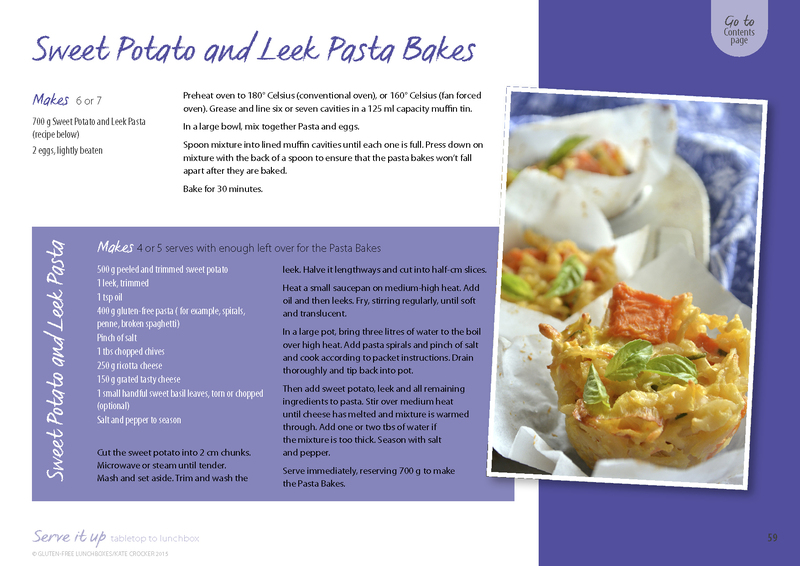 A professionally designed e-Cookbook with more than 60 gluten-free and nut-free recipes from Gluten-free Lunchboxes by Kate Crocker. 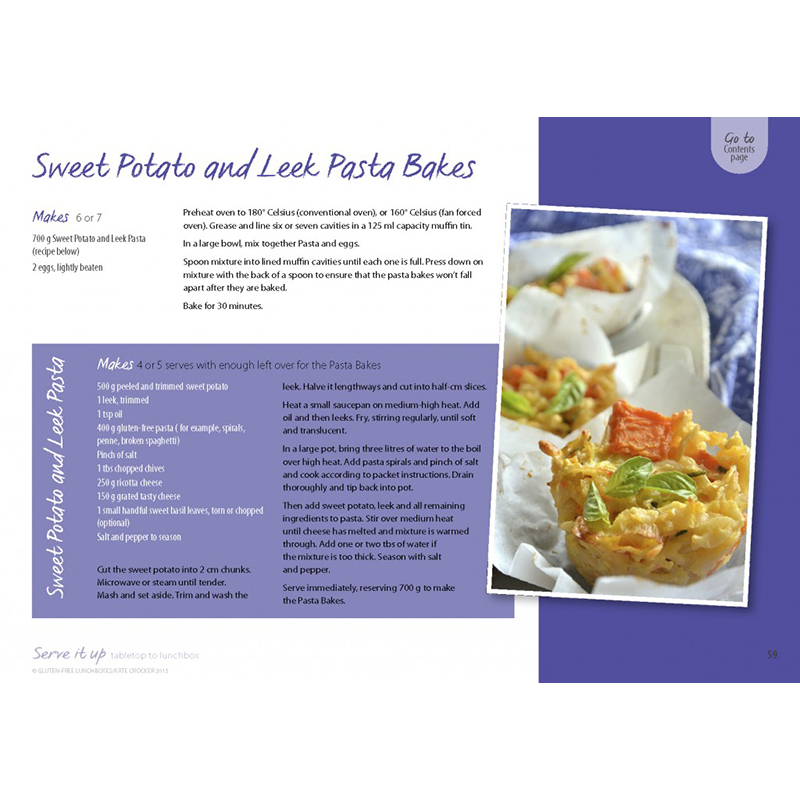 Whether your kids need refuelling at recess time or an after school snack, these recipes will energise their bodies and rev up their brains. This e-Cookbook is a must-have for anyone seeking varied lunchbox fare that is jam-packed with all the good stuff!